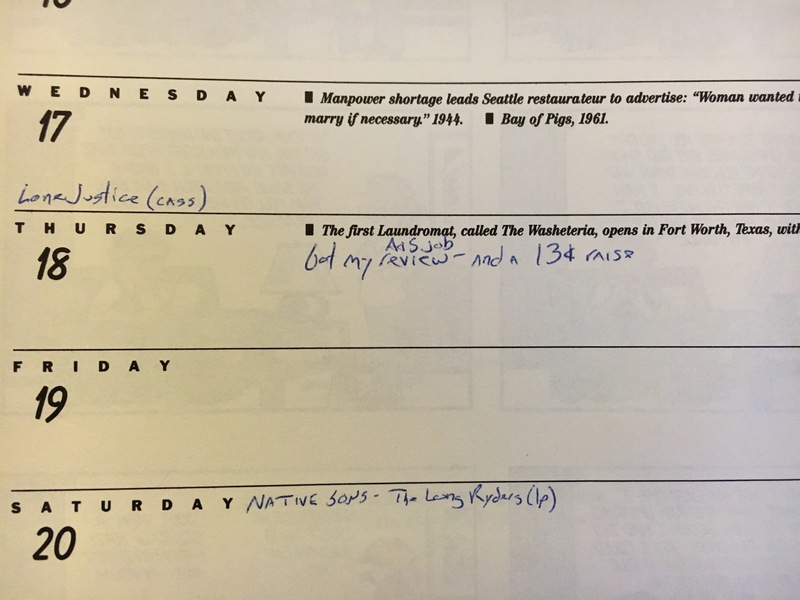 April 1985 wasn’t a particularly busy month for me, music-wise, but it was a monumental one nonetheless. On the 17th of that month (31 years ago to the day as I write) I picked up, on cassette, an album that – I hesitate to say that it changed my life, so I’ll say instead that it re-affirmed certain things. 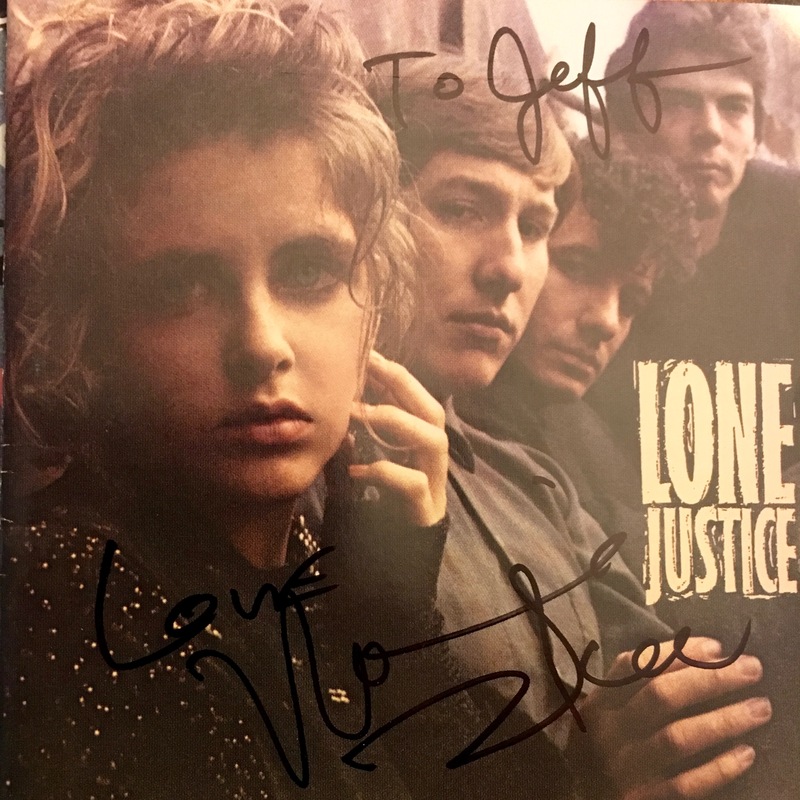 The album in question, Lone Justice’s self-titled debut, was a shotgun blast of sonic newness that infused country-rock with punk, rock, gospel and soul. The music roared, soared and seeped from the speakers, and the mercurial Maria McKee’s vocals forged palpable emotions from the simplest of phrases. It helped, too, that she – and, presumably, the band – was about my age. It was the first time, I think, I heard someone my age singing about things I cared about in a style that I loved. It made me – someone who was often mining the past for musical revelations – feel like I wasn’t alone. And three days later, I bought an LP that did it again: the Long Ryders’ Native Sons. The Philadelphia Flyers, my favorite hockey team, had just clinched their division and were about to charge through the playoffs to the Stanley Cup finals (where they lost to the Edmonton Oilers). The late goalie Pelle Lindbergh (1959-85), in his last full season, was a wonder to behold. 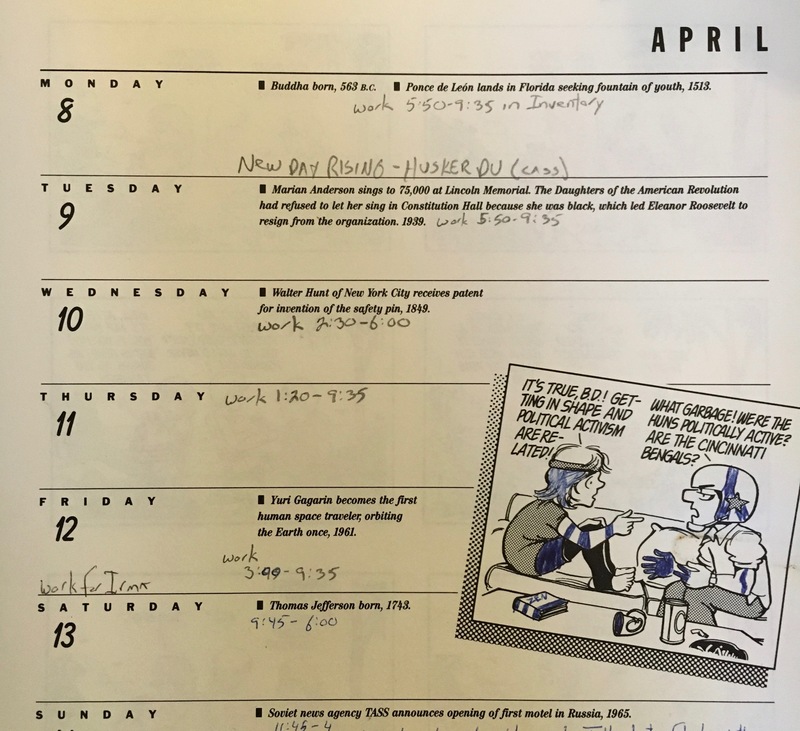 In the months leading up to that April day, I saw two concerts: a Tribute to the Byrds at the Tower Theater (with Gene Clark, Michael Clarke, the Flying Burrito Brothers and Pure Prairie League – it was a far better show than the clueless reviewer claims) and Emmylou Harris at the Academy of Music. Albums that I picked up, in that same span, included the Byrds’ Untitled and Sweetheart of the Rodeo; Flying Burrito Brothers’ Last of the Red Hot Burritos; Emmylou Harris’ The Ballad of Sally Rose, Pieces of the Sky and Elite Hotel; Don Henley’s Building the Perfect Beast; Husker Du’s New Day Rising; and the Velvet Underground outtake collection VU. 1) Lone Justice – “Ways to Be Wicked.” This song was written by Tom Petty and Mike Campbell for Damn the Torpedoes, but left behind. Jimmy Iovine, who co-produced that classic album, brought it with him when he signed on to produce Lone Justice’s debut a few years later. 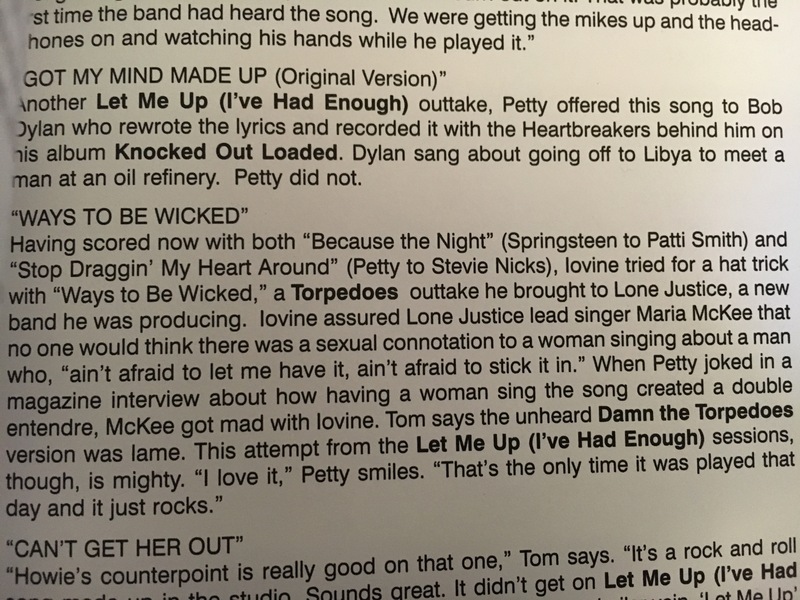 According to the liner notes in Tom Petty’s Playback box set, Maria became upset after the fact when she realized – as a result of a Petty interview – the double entendre that “ain’t afraid to let me have it, ain’t afraid to stick it in” packs when sung by a gal. 2) Lone Justice – “Fortunate Son,” “Ways to Be Wicked,” “Sweet, Sweet Baby (I’m Falling),” “Don’t Toss Us Away” and “Wait ‘Til We Get Home.” One of the biggest regrets of my life: I never saw Lone Justice in concert. I have seen Maria a half dozen times in the years since (and given the infrequency of her tours, that’s saying something); and met her in 1993 at the (long-gone) Tower Records on South Street in Philadelphia. (It’s where she autographed the above CD cover.) This live performance from the Ritz in NYC in ’85 is incendiary…and makes me rue missing them all the more. 3) The Long Ryders – “Ivory Tower.” I bought Native Sons on the 20th based entirely on a Rolling Stone review, just as I did with Lone Justice. It wears its influences on its sleeve – literally, as the cover is a recreation of the cover for the never-released Buffalo Springfield album Stampede. (Not that I knew that at the time.) And the grooves pay tribute to the Flying Burrito Brothers and Byrds in addition to the Springfield – it’s basically an amalgamation of three of my favorite groups. Like Lone Justice, they mined the past while forging a new sound. This song, written by the band’s former bassist Barry Shank, is wondrous – and features former Byrd Gene Clark on harmony vocals. 4) Husker Du – “Celebrated Summer.” On the 8th of the month, I picked up New Day Rising on cassette – my second HD album. As with Zen Arcade the year before, I quickly formed a love-hate affair with it (and Husker Du as a whole); I wanted to like it and them more than I did. I’m not sure what didn’t connect with me. It’s packed with strong melodies and songs, but – for me – too often devolves into a minefield of noise. Maybe they needed a better producer. 5) The Fugs – “Nova Slum Goddess.” I bought this on the 27th. The Fugs, for those unfamiliar with them, were a satirical 1960s-era NYC band fronted by the poets Ed Sanders and Tuli Kupferberg. I’m not sure how or why I got into their music, but I found them funny. I played tracks from this live album, Refuse to Be Burnt Out, on the Folk Show every so often. 6) Simple Minds – “Don’t You (Forget About Me).” I didn’t buy this song for years, but it’s one I’ve always loved, and given that it was in the Top 10 at the time… well, why not feature it? The Breakfast Club, which it hails from, is one of those movies that never gets old (for me, at least). I do wonder, though, how this song would have gone over if Bryan Ferry – who was asked to record it first – had released it.